Finn Aagaard, a professional hunter in Kenya following World War II, moved to the United States in the 1970s. In the process, he lost a country but gained a reputation as one of the finest gunwriters of the twentieth century. He became not only admired as a gunwriter but also beloved through his frequent pennings for the American Rifleman and American Hunter. Now for the first time ever, the very best of these stories have been collected in book form. Finn was a practical person, and in these pages the reader will find sound, timeless advice—advice written in a unique style that is without fads and gizmos and full of universal truths. 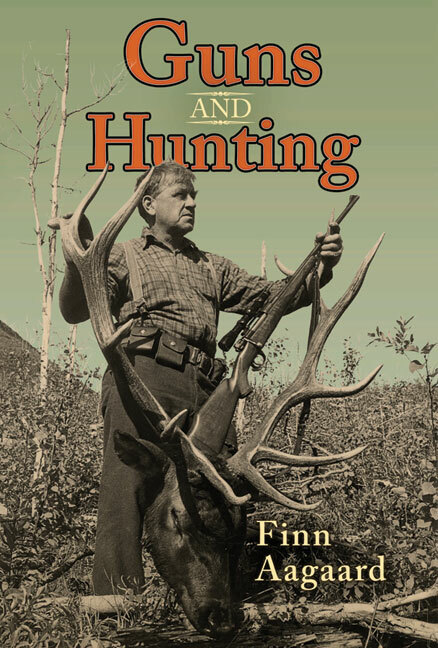 Of course, Finn had hunted extensively, and his stories on African and North American hunting are fascinating. He was also the type of hunter who took painstaking notes on all his ballistic experiences. For instance, he kept a record of every rifle he owned and he recorded every single shot fired through its barrel. We do not know any gunwriter more dedicated. And so, whether is it is the speed of a second shot fired from a bolt action versus a double or the effectiveness of a .30-06 on an elk, Aagaard’s writings on ballistics, guns, and calibers are among the most fascinating, useful, and sensible that have ever been written. Submit your review for "Guns and Hunting"